The sustainably built House of Marley Stir It Up Turntable is among the best looking and sounding entry-level turntables on the market. Updated 4-20-2017 by Parker Hall: Updated to announce the Stir It Up’s official release on the House of Marley website just in time for Earth Day and Record Store Day. Bob Marley’s son Rohan has spent the past five years putting together sustainable-minded audio gear for the House of Marley brand. We’ve had positive experiences with the company, which has offered great-looking audio gear with solid performance at affordable prices from the get-go. 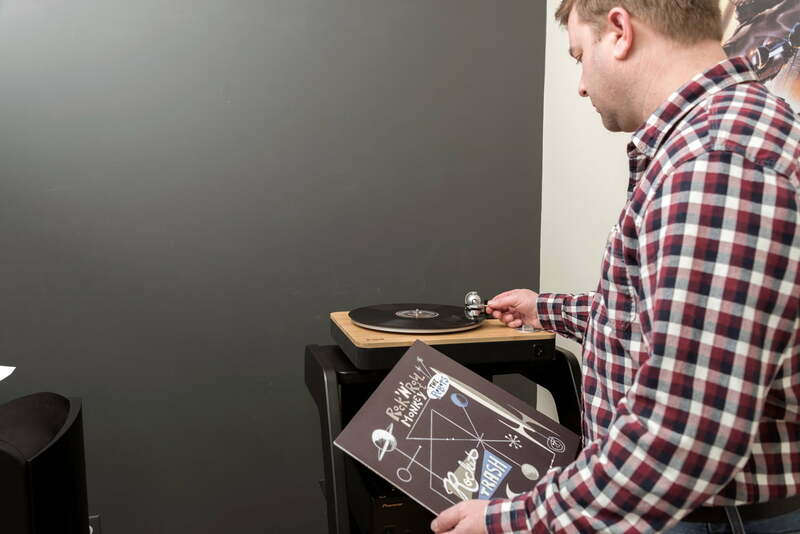 Given the Marley family brand’s history of quality products, we were excited to get our hands on the company’s first turntable, which we briefly glimpsed at CES 2016. 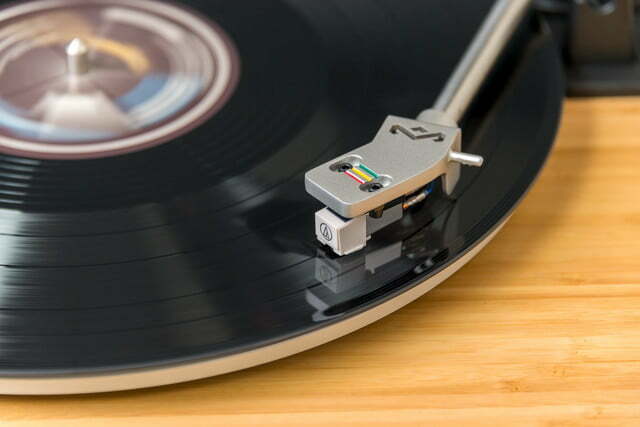 An affordable player with a sleek and renewable design, the belt-driven Stir It Up turntable is a quality offering that’s easy on the eyes and the ears, and a solid new option for burgeoning vinyl collectors everywhere. 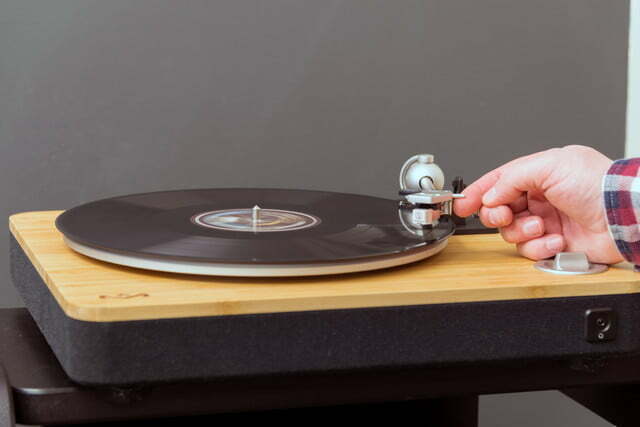 The Stir It Up ships in an attractive, recycled-cardboard box in a few simple-to-assemble pieces, with the platter, slip mat, belt, 45 RPM adapter, and counterweight all easy to locate. RCA, USB, and power cables are also in the box, along with a cloth dust cover. As with most turntables, there’s nothing particularly magical about this unboxing experience, but the packaging does convey a quality experience. Once all the pieces have been removed from the box, the Stir It Up comes together quite quickly. 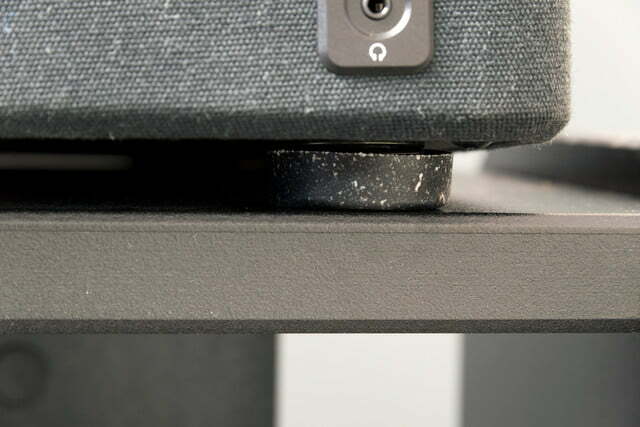 The platter and belt slide easily into place over the center spindle and motor spindle, and the slip mat gets placed over the top. 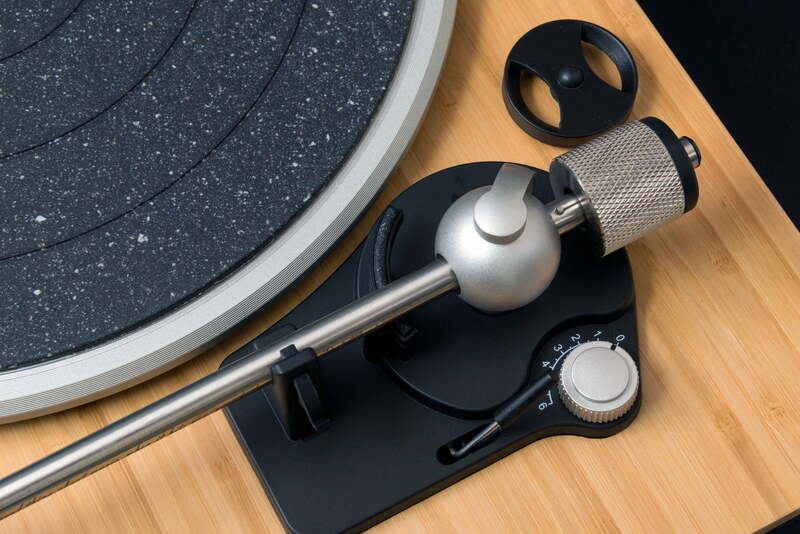 The counterweight twists over the end of the tonearm, where it can be quickly balanced. 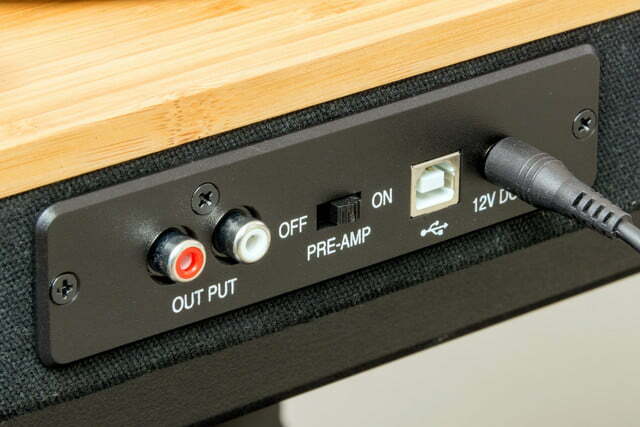 RCA, USB, and power cables plug into the rear of the table, at which point you can choose whether or not you want to use the built-in phono pre-amp or your own with a simple switch selector — a nice feature for those looking to plug right into amps and receivers without a phono input. The Stir It Up comes with a solid number of features at its price point, but the first thing you’ll notice is the table’s gorgeous design. The top is composed of beautiful bamboo, while the sides and bottom are cloaked in cloth made from hemp, organic cotton, and recycled plastic. 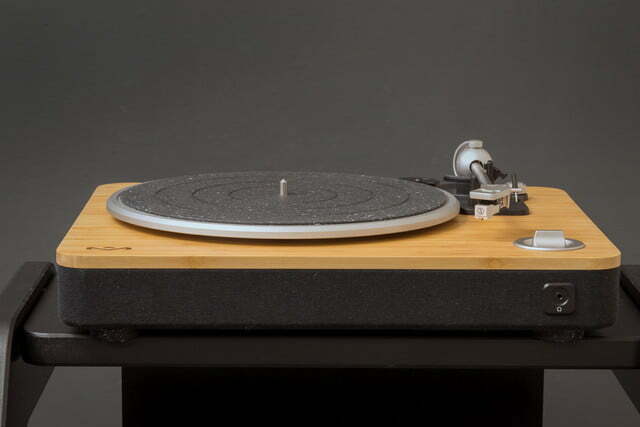 The platter itself is made from recycled aluminum, and even the slip mat comes assembled from a proprietary amalgamation of recycled plastic and rubbers — the same material that makes up the table’s squishy, noise-isolating feet. The top is composed of beautiful bamboo, while the sides and bottom are cloaked in cloth made from sustainable materials. Everything looks and feels solidly constructed, with subtle accent notes like red, green, and yellow stripes on the headshell and a beautifully-etched House of Marley logo at the table’s bottom left corner, all of which serve to convey a higher quality product than the table’s $200 price point would suggest. The Stir It Up’s listening options are diverse, too, including an analog RCA output, a digital USB output for transferring your collection to your hard drive, and a built-in headphone jack on the front face for easy solo listening. 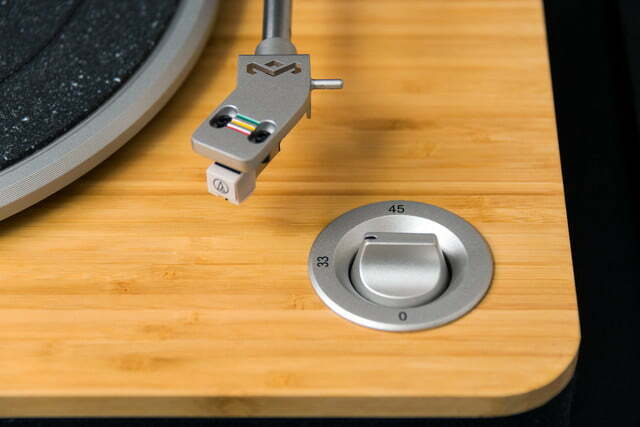 The table operates at two speeds — 45 and 33 RPM — selected via a stylish recycled aluminum switch at the bottom right. Missing are features like pitch control, and a stylus illuminator or strobe light indicating that, like most players at this level, the Stir It Up isn’t well-suited for DJ applications. The Stir It Up is shipped with an entry-level Audio-Technica moving magnet cartridge and stylus on a ½” headshell. 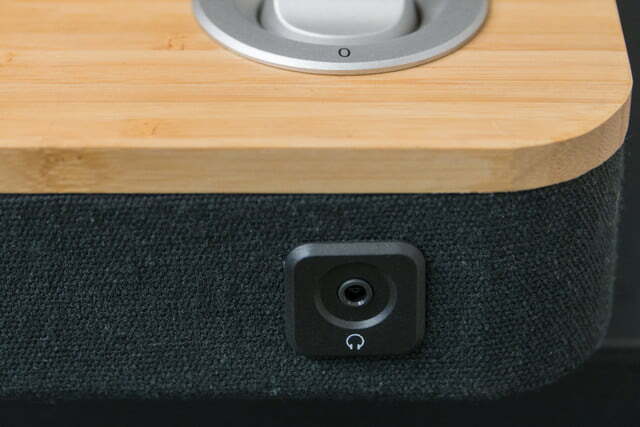 Those looking to upgrade their sound can easily replace the setup with affordable favorites like an Audio-Technica AT-AT100E or an Ortofon 2M Red for an extra $50 or so. A new needle and cartridge are a worthy investment for burgeoning enthusiasts, as is an external phono pre-amp like the U-Turn Pluto — additions which can raise the Stir It Up a few notches on the audiophile totem pole before you decide to leap into the world of ultra-expensive gear. The mechanics of the Stir it Up Table are simple and logical. The table’s motor only spins once the needle has been lifted over the edge of the platter, and stops playing once the needle reaches the end of a side. Out of the box, House of Marley’s Stir It Up turntable sounds as good as virtually all of the quality entry-level competitors we’ve heard. There’s a small amount of tonal distortion that becomes more apparent at higher volumes, but that lends a pleasant warmth to classic rock recordings like Bruce Springsteen’s Born To Run, as well as jazz efforts like Clifford Brown With Strings, unless the music is absolutely blasted through your speakers. Bass-laden tracks from hip-hop outfits like Run The Jewels don’t throw the needle, and they come through with clarity, especially when paired with a quality setup like the Bowers and Wilkins CM8 tower speakers and Peachtree Nova 220SE stereo amplifier we are blessed with in our testing room. 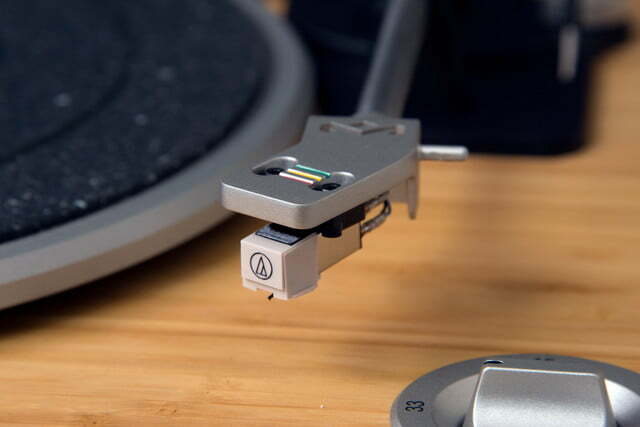 The Stir It Up does well to keep up with even higher-priced competitors like the mainstay Audio-Technica LP-120, though the table itself has much less mass, and offers less sound isolation through its rubber feet (worthy considerations for those who plan to upgrade cartridges and ad external phono pre-amps long term). 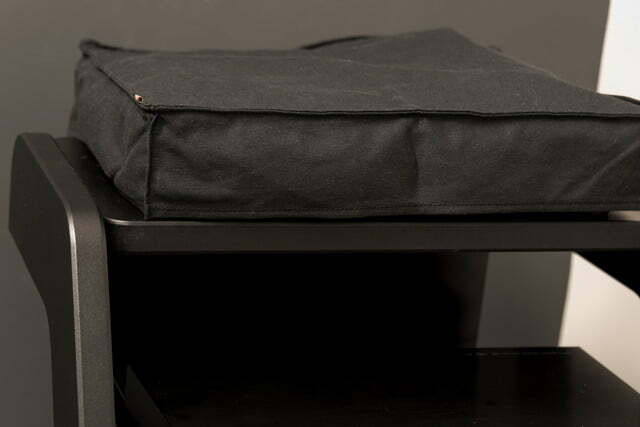 The only real issue with the table is its cloth dust cover, which can be washed when dirty, but doesn’t seem to offer the same level of dust protection as a traditional plastic one. That said, it is in keeping with the company’s policy of sustainability — plastic being one of the most unsustainable materials around. The House of Marley Stir It Up Turntable is a beautiful and intuitive entry level turntable with good sound at a great price. Adding upgrades like a new stylus, cartridge, and external phono preamp could allow the table to happily occupy your hi-fi shelf for years to come. Those considering the House of Marley Stir It Up want to check out other entry-level tables with built-in phono preamps like the Crosley C200 and Audio-Technica LP-120. The former costs the same price but comes without USB output, and the latter costs $50 more, but is a little more solidly constructed, and matches the Stir It Up’s USB output. The Yamaha MusicCast Vinyl 500 is a new option that can stream your vinyl record throughout your home. It’s much more expensive, however, at $700. 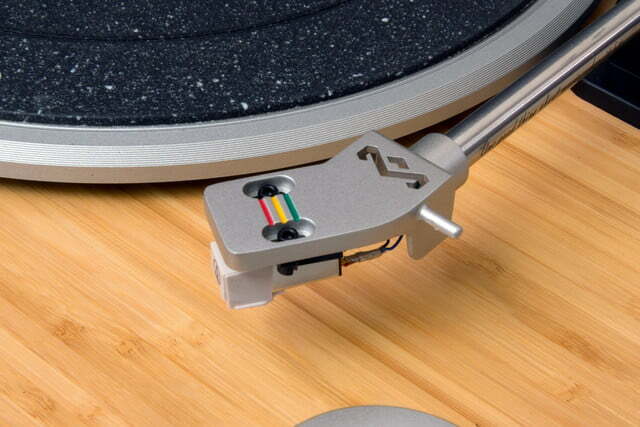 Given proper treatment, and with occasional maintenance like belt, needle, and cartridge replacements, the House of Marley Stir It Up should last for years to come. Yes. 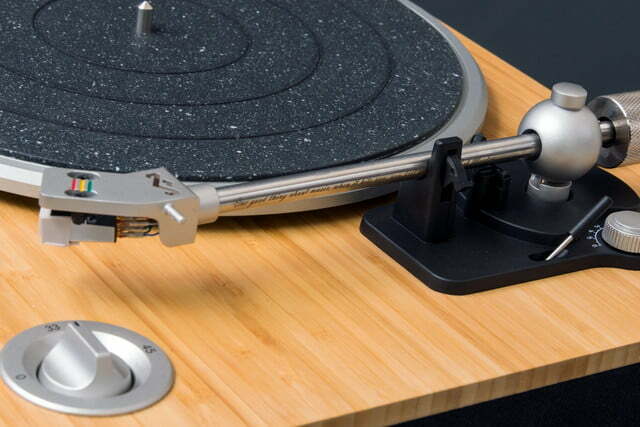 The Stir It Up turntable offers high functionality and sound quality for entry-level buyers, and can easily be upgraded to compete with higher-end turntables as needed. The Stir It Up is now available at the company’s website, and will be launched at retailers nationwide just in time for Record Store Day and Earth Day.